I’ve never been able to get over how many people with serious mental illnesses are locked up in British prisons and even the most basic of treatment can be hard to get access to at the best of times. I myself have approached mental health services at various times during my sentence in anticipation of a declining mood, rising depression, and occasionally even in thoughts of self harm and suicide. The help that is given is extremely limited unless and until you are actively self harming, and even then it is often no more than a tick box process. However, recently I was sent a very interesting graphic illustrating how bad this situation is in the United States. If its possible, I think it may be even worse over there than it is here. 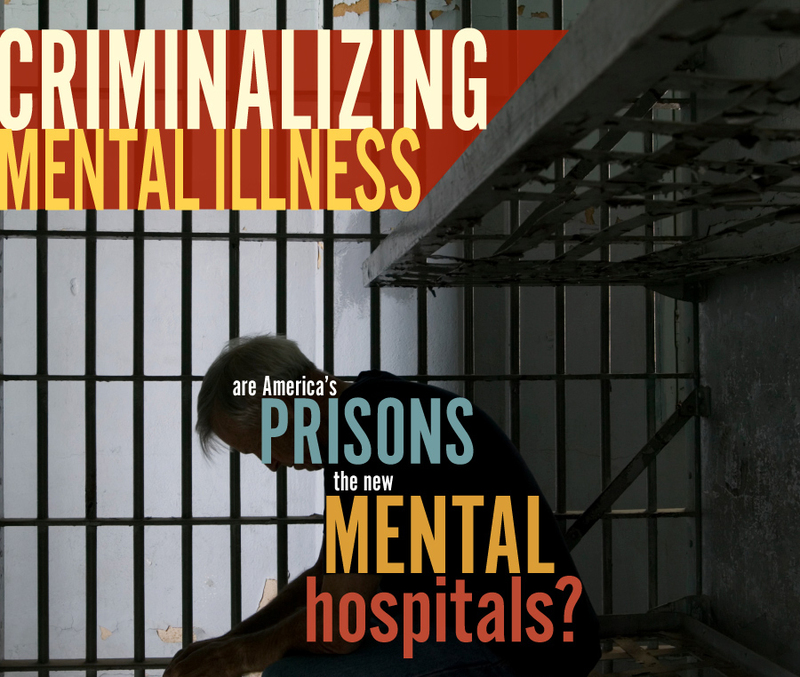 Mentally ill prisoners now amount to nearly 20% of the prison population and there are more than ten times as many mentally ill people in prison than in mental hospitals. The graphic is truly shocking and I strongly recommend that if you take a look at it, try and see past the statistics and imagine what life is like for each of the 365,000 mentally ill people stuck in American prisons. The full graphic can be viewed here.